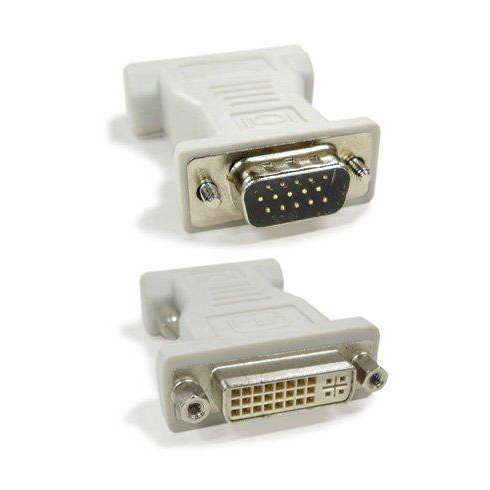 This will allow you to plug in your DVI-I cable into this adapter, and then plug it into a VGA Port. 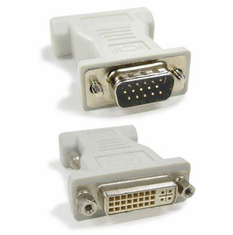 Although a DVI-D cable will "FIT" into this adapter, it will not output a signal. This is an Analog only adapter. It is not a "signal converter". I had a customer that had a DVI only monitor and replaced his video card that only had VGA out. This adapter let him use his monitor, worked fine. I was not however able to get it to work with a different computer that used a DMS-59 Adapter cable. ConsIncompatible with Graphics cards that use a DMS-59 cable.